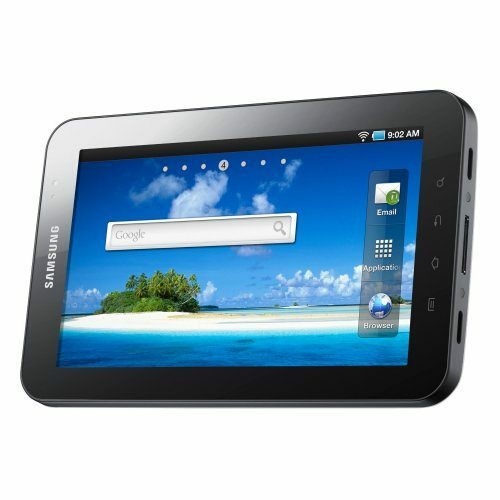 If you are on the lookout for the Samsung Galaxy Tab (Tablet PC) for a good price then eBay might be the answer for you, so much so eBuyer is selling it for only Â£249.99. This makes it much cheaper than O2 UK and Amazon. If you visit eBay you will see a title “Samsung Galaxy P1010 Tablet 7″ LCD Touch, Webcam x 2” and a price of only Â£249.99 and to make the price even sweeter this will come with an extra 16GB microSD card reader for free making it in total a 32GB tablet. If you visit Amazon UK online you will see they have the 16GB Samsung Galaxy Tab for Â£279.90 without the extra flash card, O2 UK still have theirs up for Â£299. Specs Recap For Those Tempted To Buy: Samsung Hummingbird processor clocked at 1GHz, 512MB RAM, 16GB built-in storage, 7-inch capacitive touchscreen with a 1024×600 pixels resolution display, Android 2.2 Froyo, Flash 10.1 compatibility, front-facing 1.3-megapixel and a three-megapixel rear facing camera plus much more. This model does NOT have 3G but it does have Wi-Fi, USB, A-GPS and microSD card reader. Head on over to eBay UK and let us know what you think, seeing the Samsung Galaxy Tab cheaper that Amazon and even O2 is good news for those wanting to save a few pounds.